On November 17, 2014, His Holiness Patriarch Mor Ignatius Aphrem II received His Excellency the Apostolic Nuncio in Damascus Mgr. 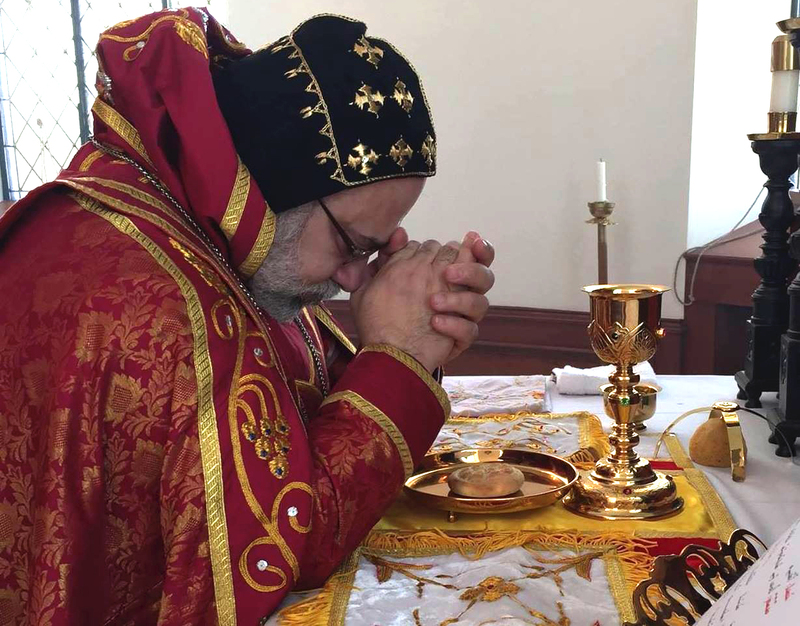 Mario Zenari in the Patriarchate in Bab Touma, Damascus – Syria. 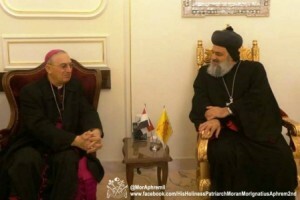 The meeting was attended by their Eminences: Mor Dionysius Jean Kawak, the Patriarchal Assistant, and Mor Timotheos Matta Al-Khoury, the Patriarchal Secretary.His Holiness discussed with His Excellency the current situation in Syria, especially the situation of the Christians there. They spoke also about the humanitarian aids that the Church is distributing and the social role that the Patriarchate is doing to reduce the effects of the crisis on the Syrian people in general. Moreover, His Holiness discussed with his guest the details of Pope Francis’ visit to Istanbul.